Home / SUPERHEROES / TALK OF THE TOWN / Team Iron Man Bats for Responsibility in "Captain America: Civil War"
Team Iron Man Bats for Responsibility in "Captain America: Civil War"
Tony Stark is a different man—he’s made an honest assessment of the recent events with Ultron and, in a shocking conservative turnaround, is in agreement with world governments that the Avengers should be regulated. 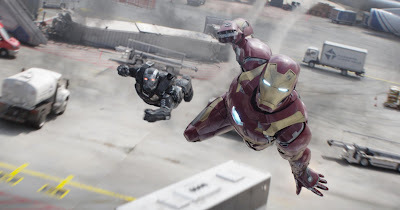 This move pits Iron Man against Captain America on a political level but their personal conflict runs deeper—and down a more dangerous path than either could have ever anticipated or imagined. Joining Team Iron Man in his fight against Team Cap are fellow S.H.I.E.L.D. 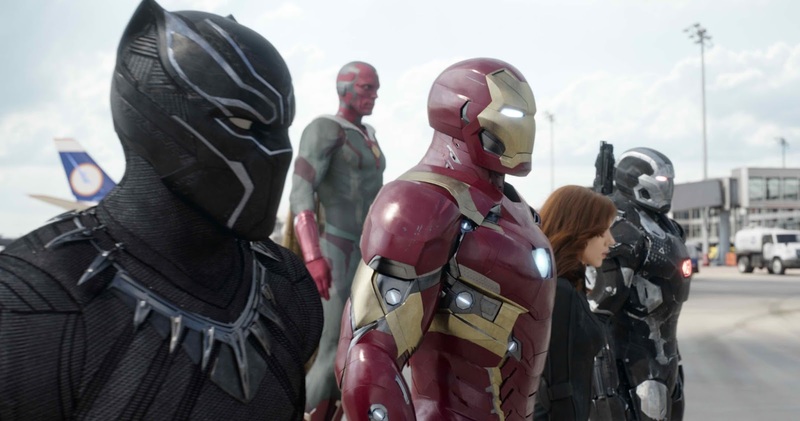 members Natasha Romanoff/Black Widow, Col. James “Rhodey”Rhodes/War Machine, T’Challa/Black Panther and The Vision. Natasha Romanoff aka Black Widow is played by Scarlett Johansson for the fifth time. 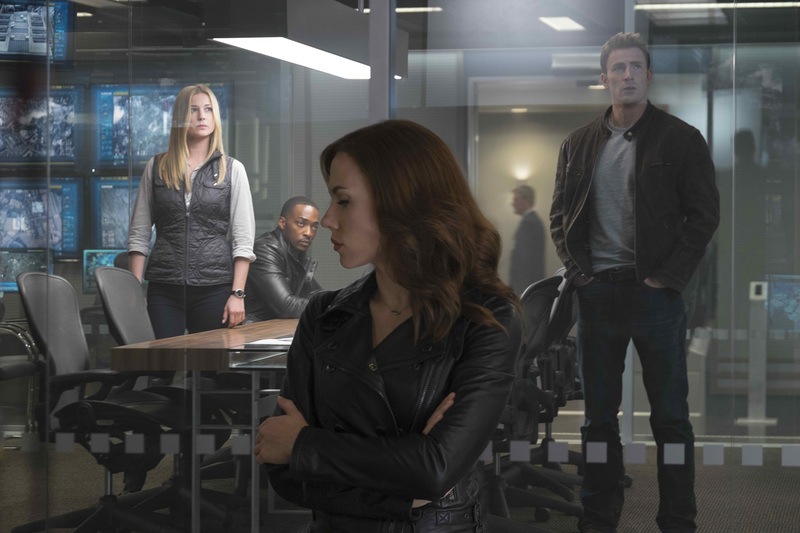 Despite Natasha’s loyalty and friendship with Steve Rogers since the early days of the now-defunct S.H.I.E.L.D., she disagrees with his position and in a surprise move joins Tony Stark’s team, in support of governmental oversight. Always strategic in her thinking and heroic in her actions, Black Widow is an asset that Tony needs—but one that he cannot control. A recently christened Avenger is Colonel James “Rhodey” Rhodes aka War Machine played by Don Cheadle. “As a new member of the Avengers, we find Rhodey trying to figure out how to still be on the side of his friends who are these self-appointed protectors of the universe and at the same time still maintain his military standing and try to abide if he can by the letter of that law,” says Cheadle.